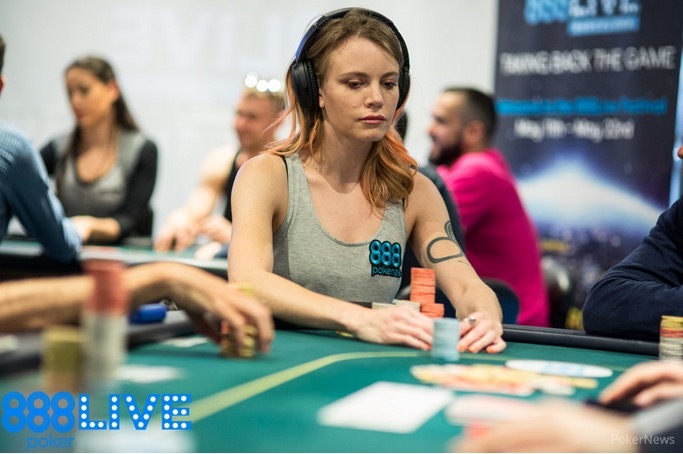 Cate Hall leads for final day of 888Live Barcelona; next up is 888 at WSOP! American professional Cate Hall is leading the final 24 players in the 888Live Barcelona Main Event with 2,467,000. Following the huge success of 888Live Barcelona, MainEventTravel is continuing its partnership with 888poker and is the Official Travel Partner for all 888’s WSOP qualifiers with fantastic hotel packages awaiting players in Vegas. Hall first gained international attention in 2015, going from relative unknown to competing at the game’s highest levels. Her very first live tournament cash was in July 2015 and she then went on to make three WPT final tables. Her biggest cash was fifth in the WPT Five Diamond in December 2015 for €291,320. In Barcelona yesterday, the former chess player and gamer from Arizona went into overdrive in the few levels, putting players to the test time and time again. She got several key calls correct to give her the kind of stack she could attack with and there was then no holding her back. Should she win, then Hall's live tournament results would go over the million-dollar mark. William Kassouf is also still in contention for the €110,000 first prize with 902,000, well clear of the 730,800 average at close of play. Among those who cashed yesterday was 2016 November Niner Fernando Pons. There were a total 609 entries in the event, creating a €584,640 prize pool, well over the €500k guarantee, with 72 players getting a share. 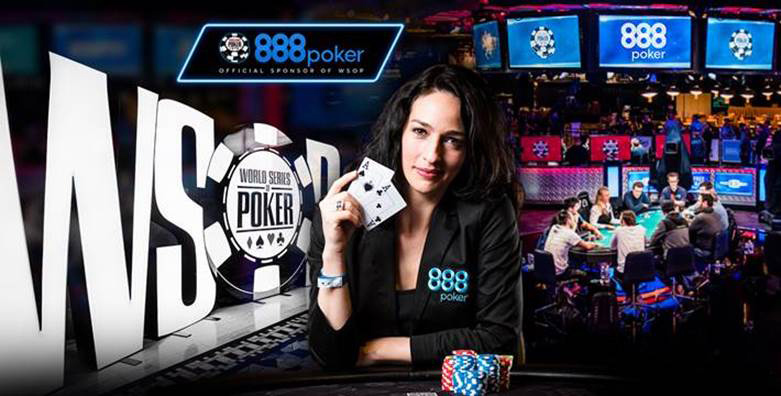 888poker is sponsoring the World Series of Poker for the third year running, operating as the exclusive online provider of all WSOP qualifier satellites and promotions. Working with Main Event Travel as its main travel partner, 888poker qualifiers will receive a fantastic $12,500 WSOP Main Event package which includes a Deluxe Suite at the luxurious Vdara Resort on the Las Vegas Strip from July 9 – 14, plus $10,000 Main Event buy in plus $1,200 expenses. Players who win a $3,000 Crazy Eights package will stay at the Rio All-Suite Hotel & Casino from July 1-4 and receive $1,200 travel expenses plus entry into the $888 Crazy Eights Tournament & more. All accommodation will be booked with MainEventTravel. In 2015, 888poker sent 128 players to the WSOP Main Event, which was eventually won by the 888poker-sponsored Joe McKeehen. Another of those players was Tommy Yates, a British ex-pat who earned his ticket to the Main Event via a one cent satellite entry. He wound up turning that penny into $19,500 by finishing 486th out of 6,420 players. In 2016, 888poker sent more than 250 players including November Niners Fernando Pons and Griffin Benger, who qualified for the WSOP Main Event via €30 and €160 satellites respectively. Out of 6,737 players, Pons finished ninth for $1 million while Benger took seventh for $1,250,190.